Getting the lithium out will prove far more difficult than bringing tourists in. Most observers doubt that Bolivia’s lithium will ever support a commercial mining operation. Still, the government is eager to tap into the global hunger for a mineral essential to power electric cars and build storage batteries. The ambition is to ultimately transform Bolivia into a manufacturer of the rechargeable batteries inside Tesla Inc.’s all-electric cars and the nearly 300 EV models expected to reach the market by 2022, according to Bloomberg NEF. The Bolivian government—South America’s longest-standing populist regime—is vowing to make itself into a mineral-and-battery player using mainly its own engineers. 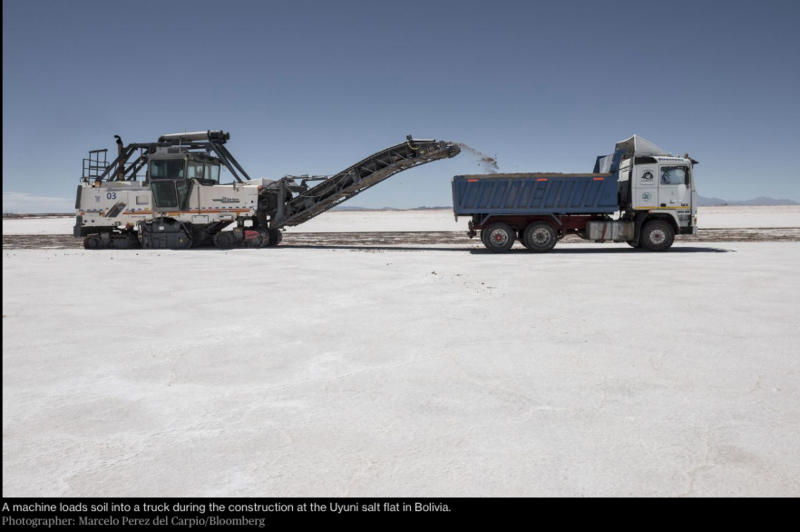 Its pilot plant in Uyuni has produced close to 250 tons of lithium carbonate this year, and YLB said it can bring production to 150,000 tons within five years. This would make Bolivia one of the top-producing nations and the source of about 20 percent of the world’s lithium by 2022, according to Bloomberg NEF projections. But the country also needs a help from the few foreign companies undaunted by the prospect of retrieving lithium from one of the most remote places on the planet. And there seems to be at least one willing to take that risk. ACI Systems Alemania GmbH has no prior mining experience. Based in Zimmern ob Rottweil, a rural village at the heart of Germany’s Black Forest, the company is a subsidiary of ACI Group, which provides project-management support to the photovoltaic, battery and automotive industries. ACI Systems Alemania employs just 20 people and was created solely to focus on building a lithium mine in Bolivia. Chief Executive Officer Wolfgang Schmutz is betting that he will succeed in an impoverished nation that has frustrated a long list of elite lithium suitors. ACI recently signed an agreement with Bolivian President Evo Morales to build a $250 million lithium operation, the first step towards manufacturing cathodes and batteries in Bolivia. The deal is expected to be formalized this month into a 49-51 joint venture with YLB. The German company has not yet secured financing for the project. The reason to try is clear: Demand for lithium is expected to more than double by 2025. The soft, light mineral is mined mainly in Australia, Chile and Argentina. Bolivia has plenty—9 million tons that have never been mined commercially, the second-largest amount in the world—but until now there’s been no practical way to mine and sell it. 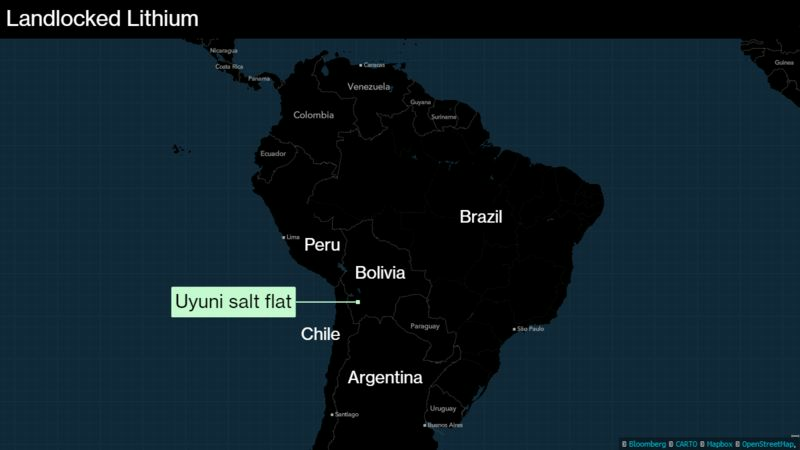 Bringing Bolivia’s supply to market would help lithium miners who have so far struggled to match global demand. Top producers FMC Corp. and Albemarle Corp. in the U.S., SQM in Chile and Tianqi Lithium Corp. in China are investing billions to expand their existing operations. Even the most experienced are suffering setbacks, with SQM reporting delays and unexpected difficulties in expanding in Chile. Albemarle reported stoppages in its operations in Chile, China and Australia for different reasons during the third quarter. FMC and South Korea’s steelmaker giant POSCO have in the past attempted to ink deals with Morales’ government that would have set up lithium operations in Uyuni. Those attempts failed, with talks stalling and investors walking out in the face of uncertainty or unreasonable government demands. Latin America’s poorest nation has had at least 27 different presidents and military juntas rule in the last five decades. President Morales, elected in 2006, is the country’s longest-serving leader and the last of a generation of leftists, including Venezuela’s Hugo Chavez, that came to power promising social justice. In South America, lithium is found mixed in a salty mud sitting beneath salt flats high in the mountains. To extract it, miners pump the brine into massive ponds, where it is left to evaporate for months. This concentrated liquid is transformed into industrial chemical plants for processing, where it is tuned into lithium carbonate or lithium hydroxide. Battery giants like Samsung SDI and Panasonic turn these products into the rechargeable batteries that go into electric vehicles. ACI has no track record dealing with brine or manufacturing battery parts. But it has very optimistic goals in Bolivia. The German company’s agreement with YLB calls for an initial investment of $250 million to build lithium processing plant in Uyuni, with production starting in 2021 and reaching full capacity of up to 40,000 tons of lithium hydroxide per year by the end of 2022. That would be roughly double the capacity that FMC, the world’s fourth-largest producer, has in its operations in Argentina. To pull off this feat, ACI is going to rely on new, untested technology from another German company, K-UTEC AG Salt Technologies, that it believes will speed up the process by producing lithium hydroxide directly from brine. Brine found in Uyuni has high levels of magnesium, which make its lithium less pure and more expensive to produce than that of neighboring salt flats in Chile and Argentina. In the next few weeks, YLB will also start building a $96 million industrial plant with capacity to produce up to 18,000 tons of lithium carbonate by early 2020, Montenegro said. He said the state-owned company has already seen interest from companies, mainly serving the Chinese battery market, to sign multi-year supply contracts once the plant starts operating. But mining lithium from brine is not easy, and neither is manufacturing a product with the chemistry composition that battery makers demand at a competitive cost. 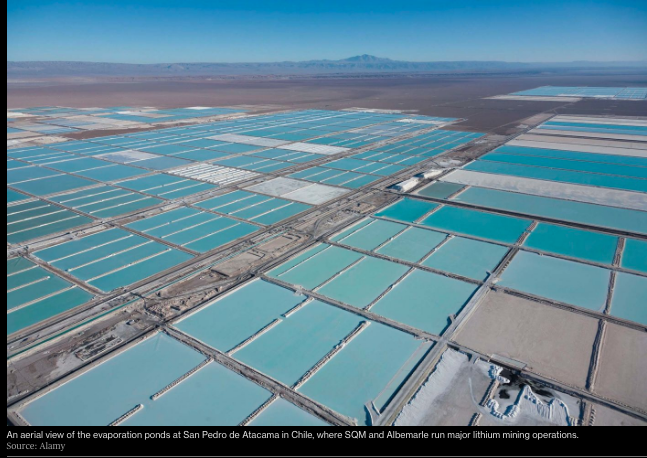 With the world’s top manufacturers already ramping up production, Bolivia and ACI’s push to produce lithium might have started too late. Lithium prices reached historic levels earlier this year, with lithium carbonate from South America selling at an average of $15,700 per ton in May and June before prices fell to around $14,375 per ton in October, according to Benchmark Mineral Intelligence. Berry expects lithium prices to plateau at around $12,000 per ton, at which nearly a third of the projects currently in the pipeline would fall off the cost curve. Bolivia’s big gamble would be marginal at best. 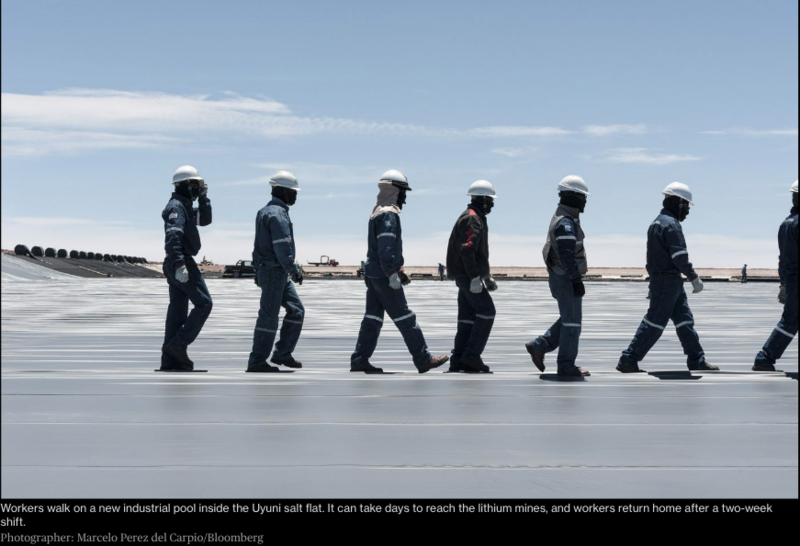 Market dynamics might not matter as much to the Bolivian government, which sees lithium industrialization as the next step after the nationalization of mining and hydrocarbons. 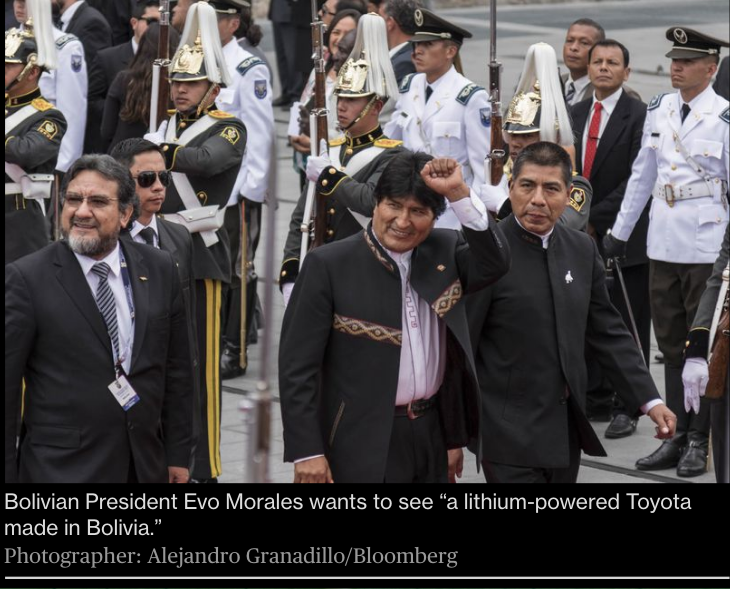 “I am certain that lithium will be like an insurance on the economic and political side to contribute to the free and sovereign development of our beloved Bolivia,” Morales said in August. The country is holding presidential elections next year, and Morales’ government is expected to make an effort to close the lithium deal beforehand, following a significant blow at the International Court of Justice on a case related to Bolivia’s dispute for sea access to Chile.